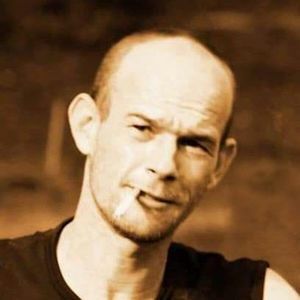 ANDRE, CRAIG R. JR., 40, of Petersburg, NJ, passed away on February 5, 2019. He was born in Toms River and has lived in Cape May County most of his life after moving from Seaside Park. He worked at Vineland Developmental Center. He enjoyed riding motorcycles. Craig is survived by his wife, Lindsay; his children, Gia Andre and Dani Andre; his sisters, Lizz Andre and Juliann Andre; his Aunt Oddlaug; and his nieces, Elyssa Lloyd, Isabella Lloyd, and Airika Slobodjain. Memorial service will be held on Monday, February 11, 2019 at 2:30 p.m. at the Radzieta Funeral Home, 9 Hand Avenue, Cape May Court House. Memorial donations may be made to the Ronald McDonald House of Southern New Jersey, Inc., 550 Mickle Blvd., Camden, NJ 08103. Create An Online Memorial For Craig R. Andre, Jr.
My heart is crushed.Craig adored his wife and girls.No one could be any nicer. I will be praying for the family. Im so sorry for your loss. Admittedly i haven't seen Craig in many years, but when ever i would see him or run into him, he was always kind to me despite the fact that he was really my, then boyfriend's best friend. He never treated me like his friends girl, i was part of the gang too. They would spend hours and hours working on engines, and quads, and dirt bikes in his garage on Route 9. You were one of the smartest mechanics i have ever met. It may have been 18-20 yrs since we hung out and probably 10 or more since i seen you around, but i can still see you standing there, taking your smoke from the pack that was rolled in your t shirt short sleeve like a true greaser. lol The pack smushed and black from your greased hands. This world lost a great mechanic and person! And we are all lucky to have been a part of your life, no matter how long or short that time may have been. The passing of Craig is such a shock I just can't believe it. He was such a great friend, and Uncle to my older kids. He always knew how to make you laugh even when you wanted to be mad at the world. He will live on in our hearts with the memories that we all share. Fly high with your dad. So sorry to see Craig is gone. He and my nephew Nick were buddies since they were little. Will always have those memories. Gonna miss riding with you. If we as your friends can't wrap our heads around this I can't even imagine how your family feels right now. You always had a smile and a funny story for anybody you talk to. My uncle still apologizes every time he goes down the hallway for shutting my friends fingers in the door. May you rest in peace and may your family be comforted in knowing about all the lives you touched. Who was Craig Andre? Craig Andre may have been short in stature, But he made up for it with his Huge heart and determination to accomplish things. All you had to do was ask him for help, and he was there lending his hands and knowledge within minutes. When he got an idea...their was no stopping him. He loved anything with an engine in it or on it. If he dreamed up an idea to build it, He did just that. He was a highly skilled cycle tech. Craig was the reason I bought a motorcycle. One day in his garage changed my life forever. I took one look at his white street legal TW200 covered in glorious Mudd, and I went out that day and bought my own. He also encouraged me that I was smart enough to get my diploma @ age 45, just shortly after he had just achieved getting his own diploma. He said laughing.. if I can do it, anybody can. With Craig' what you see is what you got! Heaven holds the best now! See you on the other side... You belong to the Lord...and rite now he's looking down saying stop it with the religious quotes Ernie lol...I'm really gonna miss you man!